Global technology giant Siemens and Southern Idaho Solid Waste (SISW) recently announced the successful commissioning of two SGE-56HM gas engines that are providing eco-friendly electrical power for a landfill gas-to-energy project at the Milner Butte Landfill in Burley, Idaho. 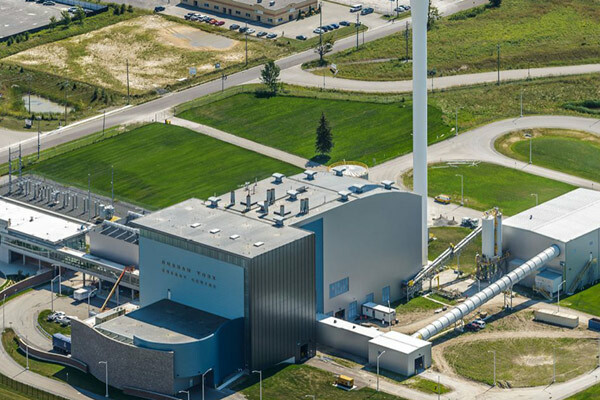 Siemens’ gas capture engines are helping to convert 1,000 tonne of landfill waste daily into energy but SISW officials expect that amount to increase in the near future. Decomposing waste gives off massive amounts of greenhouse gases, especially methane. SISW engineers worked with Siemens and Siemens’ channel partner, Industrial-Irrigation Services, to develop a solution that would capture the methane for use as a fuel gas to produce electricity. “We saw this gas and realized we were just wasting it by burning it for no productive use,” remarked SISW’s environmental manager, Nate Francisco. To capture methane and convert it into electricity, the Milner Butte Landfill deployed two Siemens SGE-56HM gas generator sets to run on the waste gas from the landfill and generate electrical power. Once the landfill gas is converted to electricity, it is transported to Idaho Power through a 20-year purchase agreement and is used by the community as a low-cost source of power. To date, the two engines have been generating enough power for approximately 2,000 homes. Each set is rated at 1,300kWe and includes generator controls and a power panel. “The Milner Butte Landfill project represents the future of distributed power,” said Chris Nagle, the regional director (North America) for Siemens Gas Engines business.